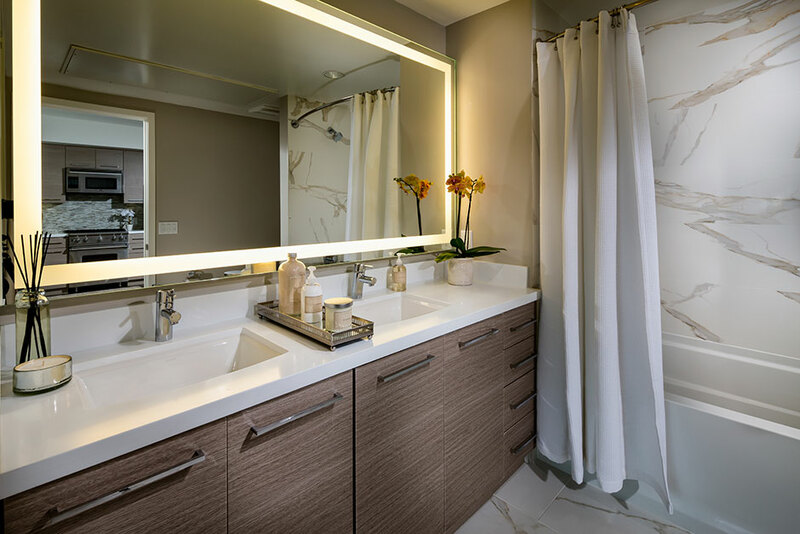 Chelsea Santa Monica offers luxurious apartments with stunning views. 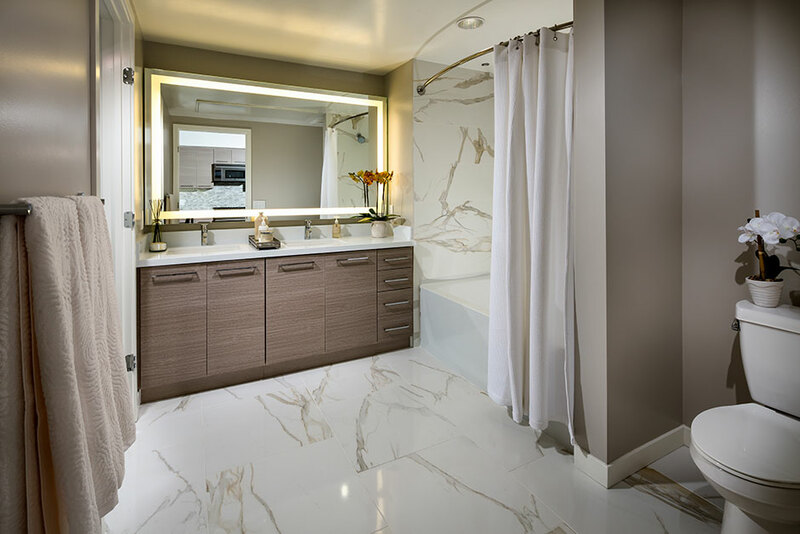 Porcelanosa’s Ci-Click tiles were used to create the striking floor pattern found in the lobby. 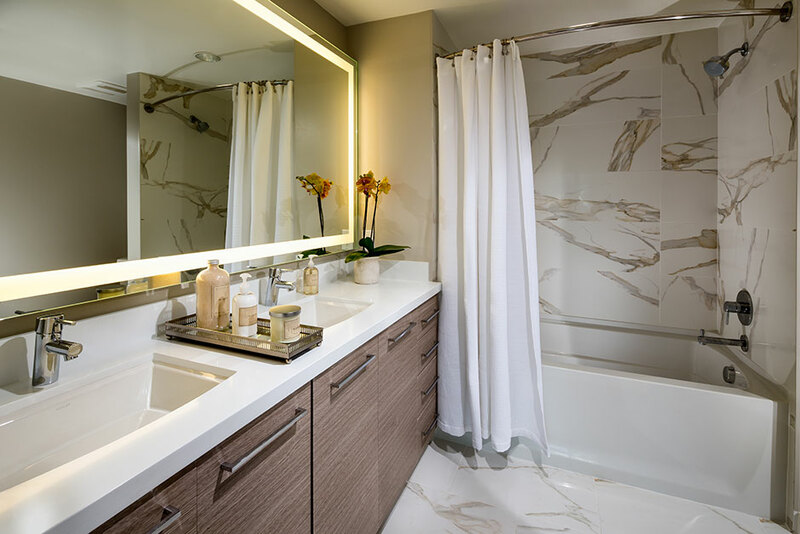 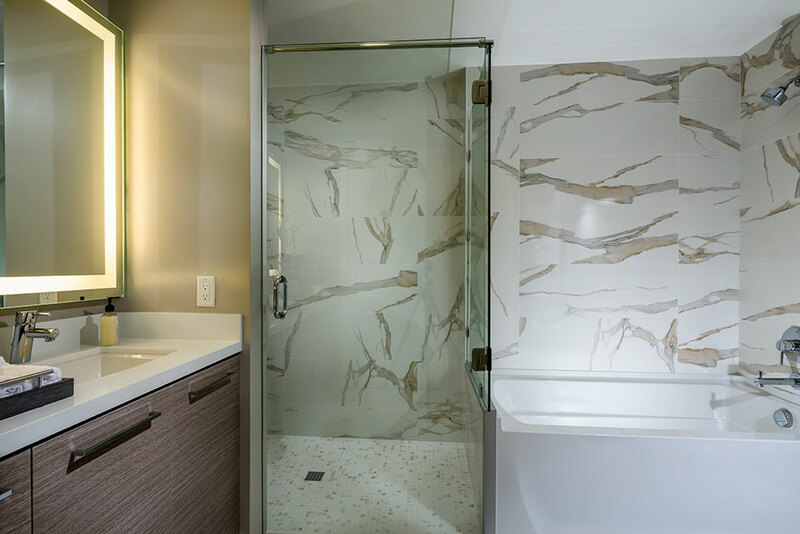 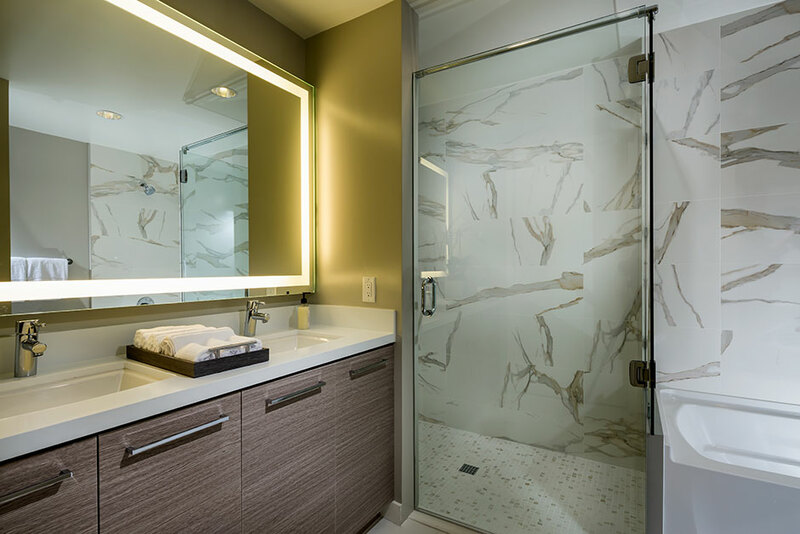 The bathrooms feature the Calacata Gold wall tile and mosaic, which give the space a sophisticated marble-like appearance.